Tell us where the inspiration for the name came from? And how deep does your obsession run? Hmmm. It all started while we were still busy with our studies at Stellenbosch. Lourens studied Law, whereafter he did Financial Analysis whilst Esté studied drama. At that time Lourens was still stubborn and refused to submit to these coffee cravings (unlike Esté, who was drinking at least 4 to 5 cups a day). One morning on his way to class, whilst being in meditation on this idea around coffee and the atmosphere and vibe it creates, Lourens was pondering on a better life in the music industry. He was thinking that one needs a name that people can relate to and remember, something that also explains the vibe and attitude of your music. So if something is bottomless, it never stops and he thought: "lets put coffee and music together". So basically it was Esté's intense love for quality coffee and the social atmosphere associated with sharing a cuppa that inspired the name. "It just kind of slapped me in the face and there was no denying it... this is a really catchy name...and so the Bottomless Coffee Band was born." Coffee Obsession: Since this is a safe space, we feel rather comfortable in spilling the beans - ITS A BIG OBSESSION! To be honest, since the beginning of this year it has become more of a lifestyle. We are even thinking of taking this stuff to the next step some time in the future. We have a passion for upliftment of other people, so it will be nice doing some work in the fair trade coffee industry some day - maybe on the import side of things. We would also like to maybe open a roastery - the Bottomless Coffee Band Roastery. Besides that - our days can not start without a cuppa - and best of all, we take it black and bitter!! Where is your favourite local cafe and what is it about that place that makes it feel like home for you? 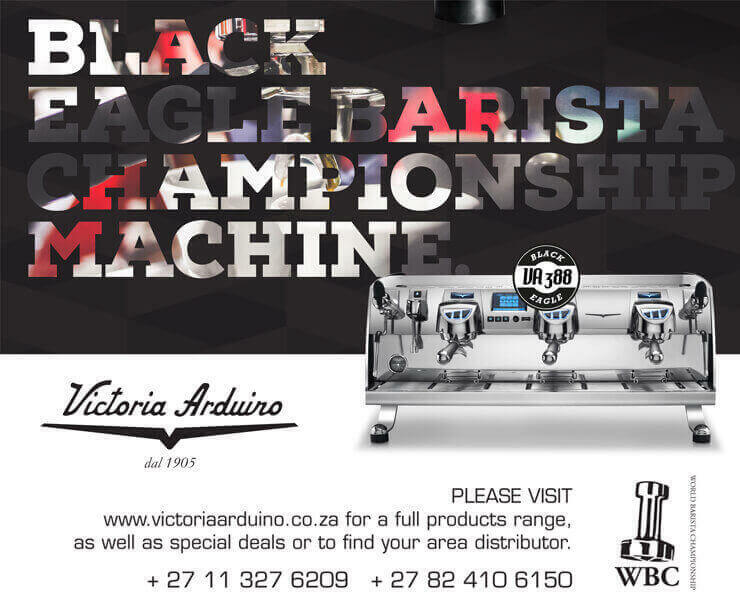 We love Deluxe Coffeeworks in Roodehek rd, Cape Town. Apart from their coffee being awesome, the place and the people are just real. They love what they do and the passion that they have towards their coffee just kind of rubs off on you. 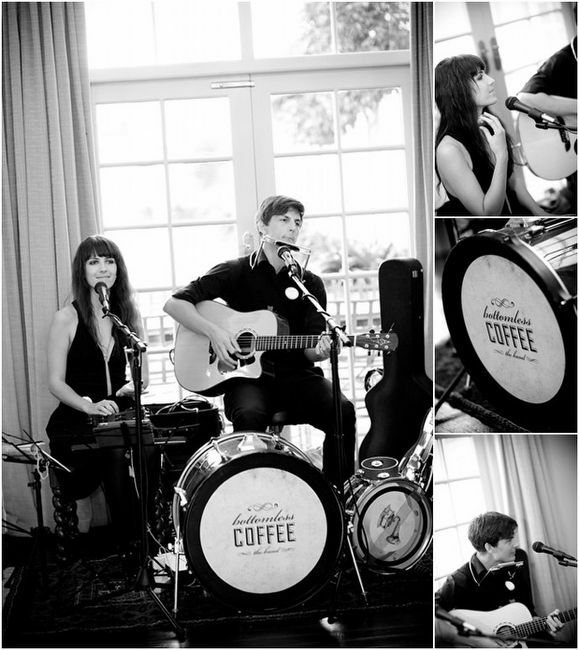 The band plays a lot of corporate events and weddings - so as a gift we always give a pack of deluxe beans to our clients. They always call and ask for more. What's the best advice you've ever been given about coffee? To use a proper grinder when grinding your beans. Man - it really does make a difference.Also to not burn your coffee with water that is too warm and in case you are making a plunger or Air-press coffee - let it wait a bit, stirring every minute and then SKIM it!! 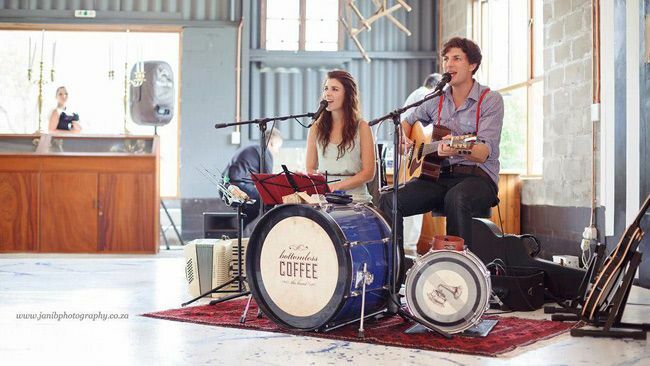 We recently played at a Barista Festival at the Woodmill Lifestyle Market in Stellenbosch. The people went absolutely nuts. Don't know if it was all the caffeine or the cool jams that we provided, but they did not want to let us off the stage. We ended up playing a three and a half hour set without any breaks. People were just having a great time, drinking coffee at the various coffee stalls, singing and dancing to some of the tunes. It kind of felt as if we were providing them with Bottomless Coffee for the night and they just kept coming back for more. We really felt energised afterwards and we were very grateful for all the support. What is your favourite song to perform (right now, I know that's a tough question:))? Esté wrote a song on the Ukelele, "Morning Coffee". Its an absolute hit. Its such a simple song but its one of those that as soon as you start playing it, you just don't want to stop.Apart from that, we love to do a few Johnny Cash covers - especially Folsom Prison Blues - you got to love it! Do you perhaps have a youtube/soundcloud channel that we could put some of your music up with the interview. Indeed - we have a facebook page that has some videos and recordings. The band is going into the studio again later this year (after the wedding) to record some more original tracks. Watch this space!